Theodore “Ted” C. Briere, Sr.
Putnam – Theodore “Ted” C. Briere, Sr., 88, of Smith St, died Tuesday April 24, 2013, in Colonial Healthcare and Rehab of Plainfield. He was the loving husband of the late Violette (Duquette) Briere. Born in Putnam, he was the son of the late Alfred and Albina (LaPointe) Briere. Mr. Briere was a member of the Knight of Columbus Cargill Council 64 of Putnam, a former member of the Putnam Lodge of Elks, and the Past President of the Northeast Adequate Wiring Assoc. Ted was a United States Veteran serving with the Navy during World War II. He is survived by his son Theodore Briere, Jr and his companion JoAnn Martel and a daughter Anne Woodman all of Putnam; a sister Beatrice Sehorn of Phoenix, AZ; 7 grandchildren, 16 great grandchildren, and numerous nieces and nephews. He was predeceased by two brothers Alfred and Leo Briere. Funeral services are private at the request of the family and under the direction of the Gilman Funeral Home, 104 Church St., Putnam. For memorial guestbook visit www.GilmanAndValade.com. 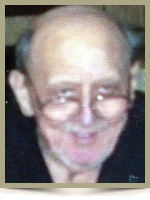 Offer Condolence for the family of Theodore “Ted” C. Briere, Sr. I am sorry for your family’s loss. I want you to know how he rescued my parents once in 2003 or 4. I had arrived at their home to find dad doggedly struggling to remove the hot water tap that dripped ever since my childhood, eroding the sink enamel off the kitchen sink for more than 50 years….He was not mechanical, but inexplicably had decided to tackle this. Thank God he could not get it off as he had not shut off the hot water feed. I did that and called for help. When Mr. Briere finished, I told him about dad struggling to remove the tap with the water “on.” He pointed out that not only would have water gone every where but dad could have been burned badly,. I was so grateful for his help. To a happy hearted man who would help anyone and always did! No matter how busy he was with what ever jobs, businesses he had going he would always take the time to do what a loving family member should do. Love you Pepe’! Rest in peace. May you rest in peace and be reunited with your lovely wife. I only knew you for a brief period of time. I remember your funny stories and “which cot” or “whatchamacallit”. You were a very devoted person to your family and church. I am sure you are smiling down at us. i am so sorry to hear about the loss of your father.he was a good man.he will be looking down from heaven at you.